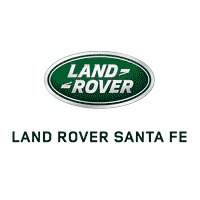 At Land Rover Santa Fe, we have a wide range of reliable pre-owned automobiles. Plus, buying one near Santa Fe, White Rock, or La Cienega is simple and fun. Below, we’ll tell you all about buying a used car. If you have any questions, or want to know what to look for when buying a used car, don’t hesitate to contact us. Set a budget: A car payment shouldn’t be more than 20% of your take-home pay. Plus, you’ll want to factor in additional vehicle costs, like gas, maintenance, etc. Select the right vehicle: Consider a model with your needs in mind. If you often drive to work alone, a fuel-efficient sedan could be good. If you have or will be having a family, a spacious and feature-rich SUV might be right for you. Think about features: This will tie in to your budget, as you’ll need to base your desired features around that. You may love the idea of having heated seats and a state-of-the-art navigation system. However, unless you absolutely need those amenities, you may need to hold off on getting them if it doesn’t fit within your budget. Check vehicle history reports: Once you’ve picked out a few vehicles of interest, you’ll want to check their vehicle history reports. These will tell you the number of previous owners, if the vehicle has ever been in an accident, and if all the needed maintenance and repairs have been taken care of. 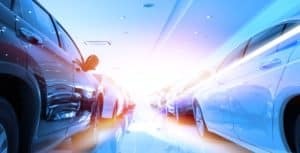 Take a test drive: Before taking the actual test drive, you’ll want to inspect the car’s exterior and interior to make sure everything looks good. Make sure you’re comfortable behind the wheel, and that everything is working correctly. You’ll then want to test the vehicle at different speeds and see how good its handling and brakes are. Sign the dotted line: Once everything looks good, it’s time to visit our dealership’s finance center. The experts there will reach out to local banks and lenders to get you a great auto loan that works for your budget. You then just sign some paperwork, get the keys, and the car is yours to enjoy! At our used car dealership, we have lots of reliable sedans and SUVs to choose from. You may be looking for a vehicle that has low mileage and is just a few years old. If that’s the case, then you might want to consider getting a certified pre-owned (CPO) automobile. In order for a car to become a CPO, it needs to undergo an extensive 165-point inspection. This is to make sure it meets manufacturer standards. If any part of the car has to be corrected, it’ll get repaired or replaced with genuine parts. 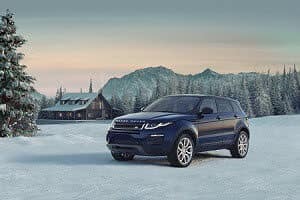 If you’re interested in buying a used car near Santa Fe, White Rock, or La Cienega, then check out our inventory at Land Rover Santa Fe. We’ll then let you test drive a vehicle or two, to experience their performances and features for yourself. So, don’t wait. Contact us to test drive a used car today!